Avocats Sans Frontieres (translates as Lawyers without Borders – (www.asf.be)) is an international non-governmental organization working towards the establishment of a just, equitable and united society, in which both the law and justice serve the most vulnerable. 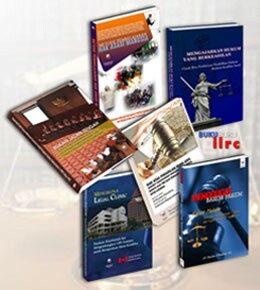 The primary goal of ASF is to contribute to the establishment of institutions and mechanisms that allow for access to independent and impartial justice, and which are capable of guaranteeing the protection of fundamental rights (civil and political, economic and social), including the right to a fair trial. ASF in partnership with Lembaga Bantuan Hukum Jakarta (LBH Jakarta) and Indonesian Legal Resource Centre (ILRC) will contribute to the ongoing efforts in access to justice by empowering community based legal aid service providers (LASPs) to provide quality, holistic services by building linkages with a range of development service providers. The program “advancing sustainable development through improved access to justice in Indonesia” aims to promote the vital role of community based LASPs particularly paralegals in cultivating the agency of people to claim their basic human rights. A robust evidence-based, learning approach to implementation and policy development willseek to provide information on the perspectives, concerns and needs of the justice seekers and end-users. This pragmatic ‘practice-research’ model of the programme will generate key data and knowledge that would advocate for expanded, innovative approaches to increase the number of diverse community based LASPs to contribute to a meaningful change in the lives of the poor and marginalised Indonesian people. The total duration of the program is 5 years and the project locations are Bali, Jakarta and Jogjakarta. ASF seeks to recruit a Legal Research Officer with experience in conducting research in access to justice to support program implementation that responds to the needs and expectations of the justice seekers. The Legal Research Officerwill contribute to improving evidence-based knowledge and advocate for policy development that reflect justice users and seekers context and the practicability of including community based paralegals as LASPs in the national legal aid programs. The Legal Research Officerwill be under the direct supervision of ASF’s Regional Representative. The Legal Research Officerwill be based in ILRC office and will be supported and guided by ILRC, ASF and LBH Jakarta. He/she will work closely with the Access to Justice – Legal Officerand the Project Coordinator. •	Perform other duties as assigned by the ASF Regional Representative relevant to the success and completion of the project. •	Identifies clear priorities and goals which is consistent with the project objectives.